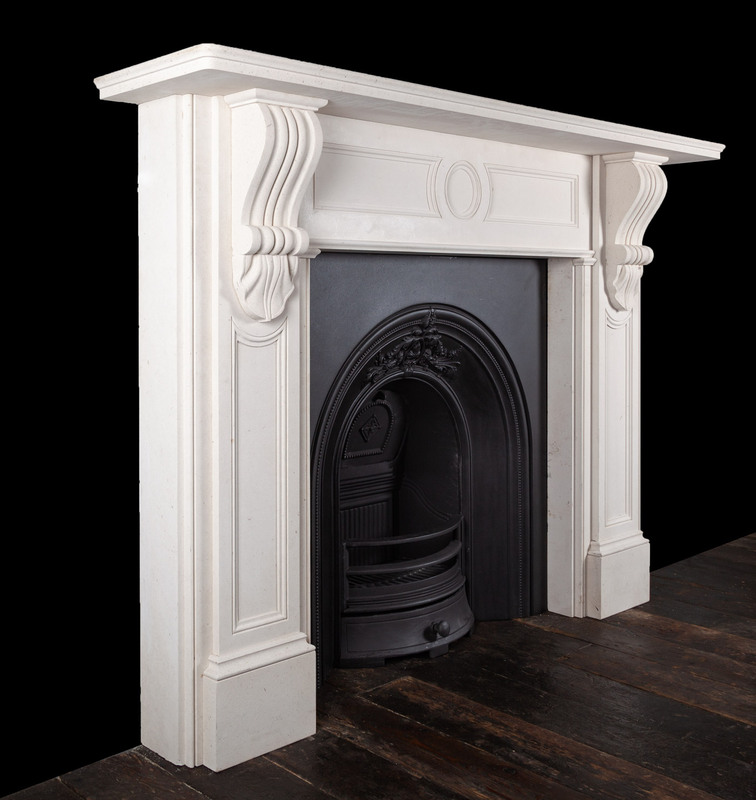 A very typical and classic Victorian styled stone fireplace with carved scroll corbels terminated with scallop shells. The pilasters under the corbels are panelled, as is the frieze with a circle in the centre and a panel at either side. 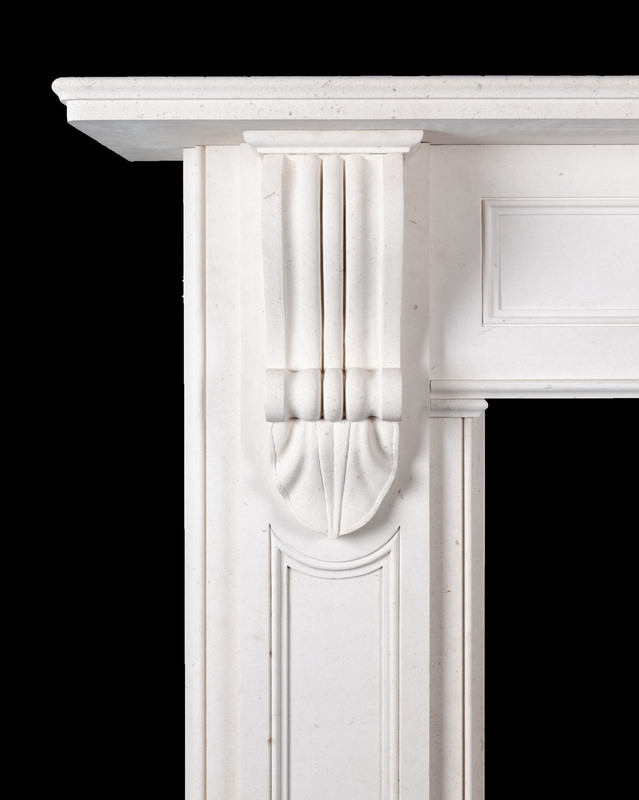 The deep flat rectangular mantelpiece is moulded on the edges. 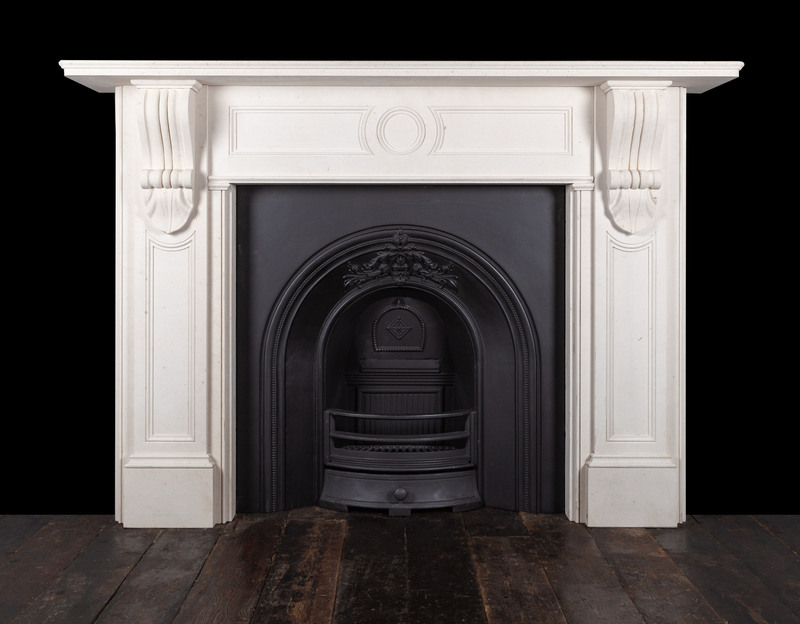 Made in a warm and neutral coloured limestone.